How many times have you wondered what those little stickers on your fruits and vegetables mean? More code to decipher? …more things they don’t want easily understood? The answers are probably “Yes” and “Yes”. 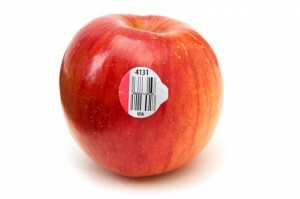 These stickers designate whether the fruit or vegetable is conventionally grown, organically grown or is genetically modified (GM). We believe it’s in your best interest to avoid GM foods. A four-digit number means the produce is conventionally grown.